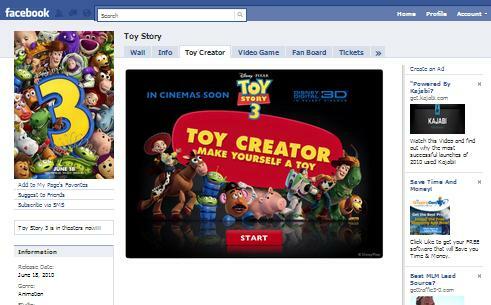 The Use of Facebook Pages: Big Brands Vs New Start-ups. Whole the world is going Facebook crazy. If you and your business are not in Facebook then you are nowhere in the global map. Yes, I said global map. With the advancement of technology and easy reach of internet, almost every 5th citizen either in Asia or Europe is connected globally either through PCs or handhelds. Availability of good technology at affordable formats & rates has brought this change. And this change in this current time is clearly visible through the extended level of use of the social networking platforms. Facebook is on top with its 500+ million user base. With such a huge no. of users Facebook has become the no.1 platform not only for the individuals but also for the marketers who want to have a global presence for their businesses. Be it a big brand or small and medium enterprise (SME), Facebook is always helpful with its unique products. 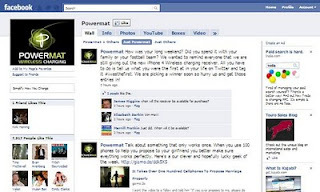 One of the most important products of Facebook is the Fan-Page. Fan-Page is one of the best Facebook products which don’t have any fan base limit like the personal profiles and groups. Mind it that you can have either a community page or a Fan-Page for your business. The basic difference lies in the fact that with the advancement of your Fan-Page or the number of likes, the probability that Facebook community will adopt the page wholly to maintain it on their fonts, just increases. So, for a business a Fan-Page is always suggested over a community page. Now let us come back to our main discussion in this Article, the importance of Fan-page uses for Big Brands and SMEs/New start-ups and how to do it effectively. The common reason behind this discussion is the confusion popping up with the question – “How to use Facebook fan-pages?” both by big brands or new start ups. Recently, I met my Social Media Guru Jason Falls in Bangalore, India while he was there for a seminar. And we discussed this issue too. In his words, big brands always have an advantage over new start-ups and less known brands when it comes to Facebook Fan-Pages. The Brand effect: Big brands easily acquire a huge level of following or likes than the new start-ups. It is simply because of the fact that the big brands already have good level of adoration among masses. Under such an impression, a Facebook Fan-Page is helpful in developing and strengthening their product lines or depths or widths. New launches from big brands can be well said/promoted through the Fan-Page. 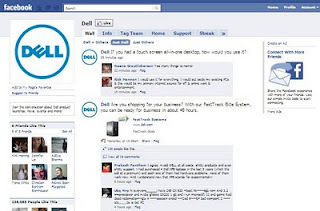 For example, Dell uses its product Fan-Page http://www.facebook.com/dell to communicate the product launch & promotion very effectively. 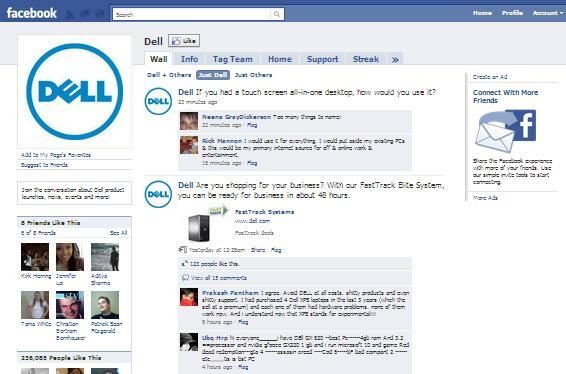 The recent promotion of the product ‘Fast Track Elite System’ on the Dell fan-page is the live example of how big brands can effectively use the power of fan-pages to launch and promote products. But it doesn’t mean that small businesses and start-ups cannot have that impact like the big brands. They can, the only thing that matters is a little amount of creativity and time. Creativity really counts: If you have applied a good logic and creativity accordingly to catch/grab the attention of the first time visitors to your page, you are more than sure to have good amount of fan base. For example, a small brand Powermat uses no added FBML but a very interactive wall. They simply engage people on different grounds ranging from common interest to Facebook Movie. And it is really a smart move to engage your audience in a lively social manner and promote your bee-line at the same time. Using Customized page tabs: To make a page catchy, trendy and more appealing, you may always apply the customized tabs with FBMLs. Irrespective of the fact whether you are a big brand or a start-up, the use of FBML really makes a difference. Recently, I have worked for many a few fan-pages ranging from common interest to literature pieces. And to amaze me, the start-up literature magazine fan-page with the customized FBML tabs got around 120 likes within 24 Hrs. Engaging people as much as possible: If you are not a toy-story fan, give it a rethink and visit the toy-story fan-page http://www.facebook.com/PixarToyStory. You would be really amazed with the landing tab video. There comes the next tab – Toy Creator. Here you can turn yourself into a toy. It’s real fun to be on that page. Anyone can hardly resist himself from clicking the LIKE button. 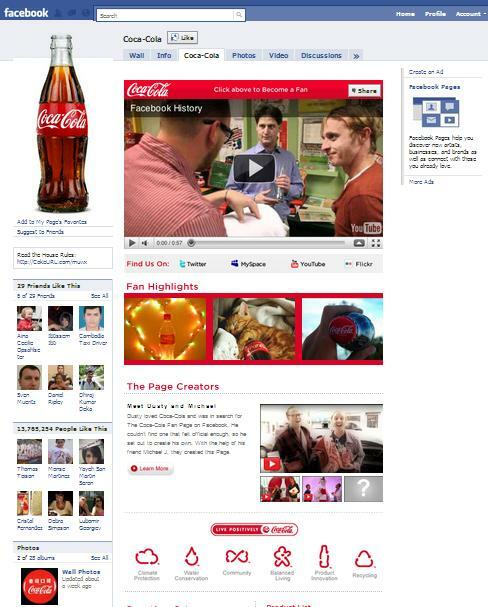 Same is the strategy applied by Coca-Cola page http://www.facebook.com/cocacola. 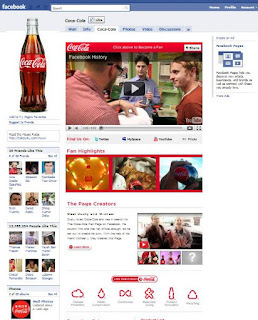 You will find the superb use of FBML and other interactive apps into the page with its dozens of different tabs equipped to entertain and educate almost each & every Coca-Cola fan. The fan-page strategies that can differentiate new start-ups from big brands are certainly the last three – Creativity, Customize & Engage. And generally, the big brands actually enjoy the all four. Yet, every single creativity counts. Keep on thinking and pull the child out of you to add some real fun to your fan-page. Nice Article RaZa! Well Described.